(Mar. 15, 2018, Rye, NY) – American families with the least and most investable assets made the greatest strides in the past four years in the annual market sizing report by Hearts & Wallets, the source for retail investor data and insights. The number of American households in the lowest asset group of under $50,000 in investable assets declined by 2.1 million, the only asset group to decrease in number of households during that timeframe, even as the total number of households nationally increased by 3.5 million. As for the wealthiest Americans, the number of $5 million-plus households increased by 50%, or 0.5 million, going from 0.9 million to 1.4 million during that same time period. The Hearts & Wallets Portrait™ U.S. Household Wealth: Essential Building Blocks to Empower Fact-Based Strategy & Prioritization report analyzes American household investable assets by traditional life stage, generation, age and wealth groups, examines household assets by retirement vs. taxable funds, and explores the broader definition of household wealth beyond investable assets. Portrait™ offers financial services firms the building blocks and sizing exercises to assemble their own blueprints with unlimited combinations for markets, personas and opportunities. U.S. households have grown 8.5% over the past decade from 116.1 million in 2007 to 126 million in 2017. These households now make decisions on about $48.4 trillion of investable assets, with assets growing steadily since 2008 and increasing $9.1 trillion in the past four years. Currently, 75 million households are in the under $50,000 in investable assets group. Although new households move into this asset group over time, the significant drop of 2.1 million in households within this asset group over the past four years indicates some families have moved into other, higher asset groups. Other significant gains during this period are seen within the wealthiest households whose asset bases grow with capital markets. Currently, 1.4 million households with over $5 million in investable assets make decisions on about $19.8 trillion, or about 40% of all U.S. household assets. Households with $1 million and above, which total 6% of the U.S. households overall, control 70% of all U.S. household investable assets. The lowest asset class is fairly evenly distributed as far as age goes. Only about one third (29%) of households in 2017 in the under $50,000 asset class were younger than 35 years of age. Another third are between the ages of 35 and 54. The final third are ages 55 and older. The Portrait™ report provides a national-level, comprehensive view of U.S. household wealth through an exhaustive analysis of the Federal Reserve Flow of Funds, the Survey of Consumer Finances, Hearts & Wallets Investor Quantitative™ Database and proprietary Hearts & Wallets analysis. Specific data on areas of focus and market sizing can be drawn from the underlying analysis, working with Hearts & Wallets subject matter experts. American family wealth nearly doubles overall to total $86.5 trillion when using a broader definition of household wealth. When real estate, pensions and non-corporate businesses are included, investable assets only comprise about half (56%) of family wealth. The report includes five-year and 10-year projections for households and assets by age, lifestage and generation. For example, Gen X assets will grow fast off a big base, reaching $18.7 trillion by 2022. Gen X will have double the assets of the Silent Generation and will attain over 50% of Baby Boomer asset levels, which are projected to grow $34.3 trillion during the same timeframe. Investable assets are only a starting point in developing projections. Consumer behaviors can provide a more complete picture. For example, annual income can be examined for different consumer groups. For households with under $100,000 in assets currently, there are 10.3 million (43%) households under age 35 who earn $48,000 or more annually. These higher income households have different situations than lower-earning age peers and solutions for the two groups should be considered differently. Going beyond income to look at the saving rate for consumers under 35 with under $100,000 in investable assets, 5.3 million households are saving 10% or more of their income annually. Younger household with high income and good saving behaviors have the potential to become affluent in terms of assets in the future. The Portrait™ market sizing exercises illustrate some of the many customizable interpretations that are possible with Hearts & Wallets data. Data on consumer behaviors can be used to size markets, develop products and shape features for both existing solutions as well as market opportunities for which solutions have yet to be developed. For example, the report presents a market sizing exercise for “Income Management Tools for New Retirees.” The market for this existing solution is 3.5 million households with $3.7 trillion who use online tools and expect over 30% of their retirement income from personal assets may be receptive to products to assist them in this major transition. Another market sizing exercise in the report is “Overlooked Consumer Risk of Disruption.” Of the 49.4 million accumulators with less than $50,000 in investable assets, 33 million “wish they were doing a better job saving.” Of these nearly 21 million have little or no debt and are poised to accumulate assets. The Hearts & Wallets Portrait™ U.S. Household Wealth: Essential Building Blocks to Empower Fact-Based Strategy & Prioritization annual market sizing report is developed through an exhaustive analysis of the Federal Reserve Flow of Funds, the Survey of Consumer Finances, Hearts & Wallets Investor Quantitative™ Database and proprietary Hearts & Wallets analysis. 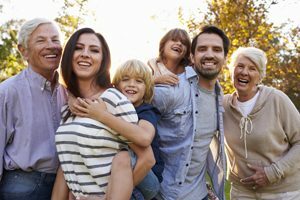 Within Portrait™ investable assets are defined as consumer-controlled retirement accounts (annuities, defined contribution plans and IRAs), bank depositions and taxable brokerage accounts, holding corporate equities, mutual funds, bonds and other instruments. Pensions, equity in non-corporate businesses and real estate net equity are tracked separately in the expanded definition of wealth and are not included in investable assets. Retirement includes government defined contribution (dc) starting in 2015. CAGRs calculated using estimated government dc for years prior to 2015. Equity in non-corporate business includes net worth of partnerships, limited liability companies, sole proprietorships and non-corporate farms. Real estate is at market value for all types of owner-occupied housing, including farm houses and mobile homes, as well as second homes that aren’t rented, vacant homes for sale and vacant land.